Dividendinvestor.com confers its proprietary Allstars™ designation on securities that show sustained dividend growth over an extended period of time. Both of these securities meet that criteria and are designated as three-star Dividend Allstars™. 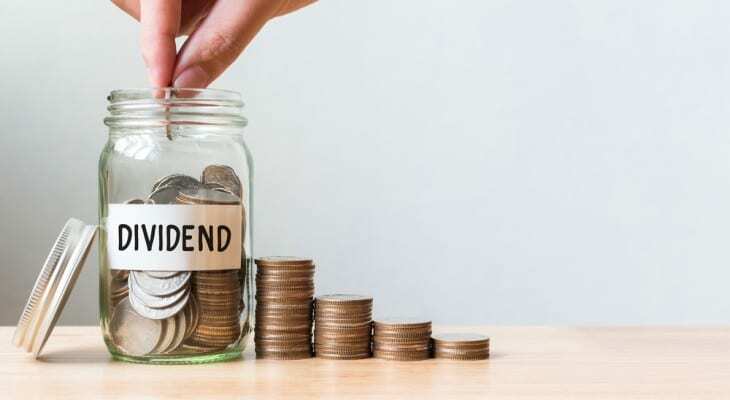 The ex-dividend dates on these two securities are still a few weeks away, leaving enough time to allow interested investors to examine the fundamentals of these companies to assess their worthiness as additional income-generating opportunities. A brief description of these rising dividend payers is below. The Gabelli Dividend & Income Trust is a diversified, closed-end management investment company. Approximately half of the company’s assets are dividend paying securities. The company invests in sectors like financial services, food and beverage, health care, energy, oil, etc. The current monthly distribution of $0.11 is equivalent to a $1.32 annual distribution and a 6.3% yield. The company has been paying a dividend steadily since 2004. After a few years of rising dividends, the trust cut its distribution for three consecutive years between 2008 and 2010. However, Gabelli’s 10% average annual dividend growth since 2010 has almost doubled the annual distribution amount. The share price rose 13.6% from its 52-week low in March 2016 to $20 by July 2016. However, the price dropped back to March 2016 just before the November 2016 election. Since that dip, the share price has recovered and reached its new 52-week high of $21.25 on March 1, 2017, which is 20% above the 52-week low from March 2016. The Bristol-Myers Squibb Company discovers, develops, licenses, manufactures, markets and distributes biopharmaceutical products worldwide. The company offers chemically synthesized drug or small molecule, and biologic in various therapeutic areas, such as oncology, cardiovascular, immunoscience and virology comprising human immunodeficiency virus infection (HIV). Bristol-Myers Squibb Company, founded in 1887, is headquartered in New York, New York. The company’s share price has experienced a fair amount of volatility over the past year. It lost more than 25% since its July 2016 52-week high and is 10% lower than the March 2016 price. The 52-week low of $46.01 occurred on January 26, 2017. However, since the January low, the share price rose steadily and is currently 22% above the bottom price from January. The company’s current annual dividend of $1.56 yields 2.8% and is 2.5% higher than the average dividend over the past five years. BMY started paying a dividend in 1900. The current record of consecutive annual payout boosts is eight years. Since 2009, Bristol-Myers Squibb hiked its annual payout by an average 3% every year. Including a few years of flat dividend payouts, BMY maintained a 5.2% average annual growth rate for its annual dividend for the last 20 years.